New 2017-2018: roof, exterior K-rend, boiler & heating system and more! Beautifully maintained and cared for, this home is ready to move into! Sleek and stylish décor marry with traditional touches and spacious rooms to create a first-time buyer or young family’s dream, all wrapped up in a peaceful location close to the village centre and its amenities and commuter routes. An excellent combination of semi-rural living and easy commuter access, the village of Jacksdale is a very popular and highly-sought after location. There are countryside walks, bridal paths, park and local amenities including primary school, shops and pharmacy within a few minutes stroll, plus access to larger townships including Eastwood, Heanor, Nottingham and more via bus, A38, M1 (junction 27). A lovely welcoming space that draws in the light, lit by a uPVC double glazed Georgian Bar window to the front and the wooden glazed front door. Decorated in a muted natural stone tone with plush cream carpeted flooring, the lounge features a wooden built in cupboard, media connections, power points, a ceiling light and a radiator. An open doorway leads onto the dining room. The second reception room has a private feel, and looks out over the rear garden through a white uPVC double glazed window. Decorated in soft neutrals with complementary carpeted flooring, the dining room features a good size under stairs storage cupboard, a telephone point, power points, a radiator and a ceiling light. From here, a wooden colonial door opens onto the kitchen, while an open archway leads onto the stairs to the first floor. A well-proportioned cottage style kitchen, looking out to the side of the property via white uPVC double glazed window. Decorated in cream with natural toned splashback tiles and terracotta floor tiles, the kitchen is fitted with a range of beech effect wall and base units topped with high gloss black surfaces and a stainless-steel sink and drainer, and further benefits from an integral electric grill and oven, a four-ring gas hob, extractor canopy, plumbing for a washing machine, space for an undercounter appliance, power points, a ceiling light and a radiator. A pretty traditional glass panelled wooden door opens onto the rear garden. A set of cream carpeted stairs lead up to the first-floor landing. Decorated in soft grey taupe, the landing opens onto all first-floor rooms via white colonial doors, and features power points, two ceiling lights and access to the loft, which is fitted with a velux window and is perfect for storage. A white uPVC double glazed Georgian Bar window overlooks the front of the property, lighting the master bedroom. Decorated in soft cool toned taupe with a lovely cast iron ornamental fireplace and complementary cream carpeted flooring, the space benefits from a good size over stairs storage cupboard, power points, a radiator and a ceiling light. Dually lit by a white uPVC double glazed window looking out over the rear garden and the fields beyond and a wooden single-glazed window to the side, the light filled second bedroom is decorated tastefully in grey taupe tones with a traditional cast iron ornamental fireplace and plush cream carpeted flooring, and further benefits from power points, a ceiling light and a radiator. A warm and inviting family bathroom, looking out over the rear garden through a white uPVC double glazed window. Decorated in warm cream tones with matte marble splashback tiling and flooring, the space is fitted with a white suite comprising of a panel bath with a Triton electric shower over, a pedestal handwash basin and a low flush WC, and also benefits from an integral airing cupboard housing the Worcester combi boiler, a stainless-steel towel radiator and inset ceiling spotlights, one of which is accompanied by an extractor fan. A small forecourt enclosed the front door to the property, with planted beds and a low brick wall separating the home from York Avenue. A concrete walkway leads down the side of the property to the rear garden. A lovely garden, perfectly in proportion with the home itself, made up of a good size concrete patio with a black tongue and groove door onto the outhouse (providing ample space for additional white goods), then on further to a laid lawn softened with planted borders, then finally a small set of steps lead down to a charming sunken paved patio area, perfect for a table, chairs and plant pot gardening. None of the apparatus, appliances, equipment, fixtures, fittings or services have been tested by MCM, the selling agents, and we cannot therefore verify that they are connected, meet current safety standards or are in working order fit for their intended purpose. Prospective purchasers are advised to have all of the above items independently checked by suitably qualified persons. References to Tenure: (e.g. Freehold/ Leasehold) are based on verbal information provided by the vendor and prospective purchasers are strongly advised to obtain verification from their solicitor or legal conveyancer. References to Council Tax are based on information provided by the vendor. Prospective purchasers are advised to check this information regarding the relevant current charge, appeals or re-assessments with the relevant Local Authority. All stated Measurements are approximate only. Measurements often include measurements into bays and recesses as stated above. Measurements in kitchens are inclusive of fitted units. It is essential that prospective purchasers check all measurements themselves before installing furniture or planning home improvements. References to boundaries, walls, hedges and fencing are purely descriptive. Prospective purchasers should check ownership and responsibility for such boundaries with their solicitor. Property reference 20654. The information displayed about this property comprises a property advertisement. OnTheMarket.com makes no warranty as to the accuracy or completeness of the advertisement or any linked or associated information, and OnTheMarket.com has no control over the content. This property advertisement does not constitute property particulars. The information is provided and maintained by MCM Estates & Lettings - Jacksdale. Please contact the selling agent directly to obtain any information which may be available under the terms of The Energy Performance of Buildings (Certificates and Inspections) (England and Wales) Regulations 2007 or the Home Report if in relation to a residential property in Scotland. 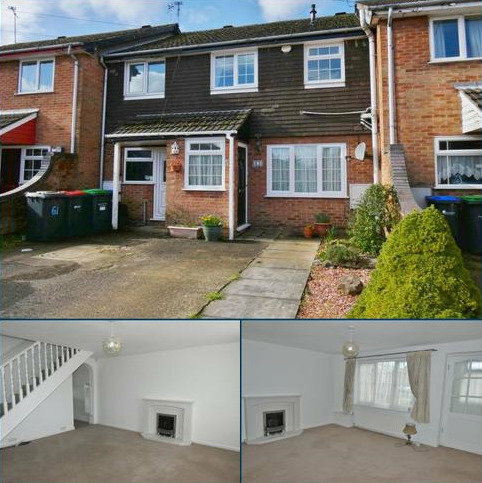 Detached 3 bed family home, with open plan modern kitchen diner. First floor family bathroom, enclosed rear garden. Central village location, ideal for first-time buyers, priced for quick sale. EPC rating E.